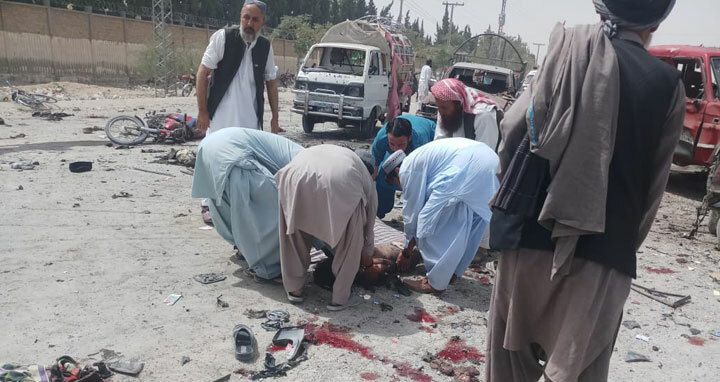 Dhaka, 25 July, Abnews: An explosion outside crowded polling station in southwestern city of Quetta has left 25 people dead and 40 wounded. Jaffer Kakar, a doctor, says five policemen and two children are among the dead. He fears the death toll could rise as many of the wounded are in critical condition. Wednesday’s attack comes as Pakistanis vote in general elections for 270 members of the law-making National Assembly, or lower house of parliament, and 577 seats in four provincial assemblies.